A key moment in the build-up to this race came on Thursday morning when Joao Moreira came back from partnering SEASONS BLOOM in his work and told trainer Danny Shum the five-year-old has never been in better shape. The Stewards’ Cup winner is in the mood to confirm his superiority from that race over SINGAPORE SLING and has the vibe of being a ‘now’ horse. The Tony Cruz-trained BEAUTY ONLY is, in jockey Neil Callan’s words, a little bit “older and wiser” and is taking longer to muster his speed, but last season’s champion miler came out of the wilderness to post a big win in the G2 Chairman’s Trophy last start. While Callan concedes the seven-year-old has lost his sharp turn of foot, if within range 300 metres out he has the ability to peg back anything in front of him. Chad Schofield thinks the return to a mile is going to suit SINGAPORE SLING. The pair teamed up in some work over 1400 metres last week that delighted trainer Tony Millard, whose wife Bev is the regular work rider of the four-year-old. 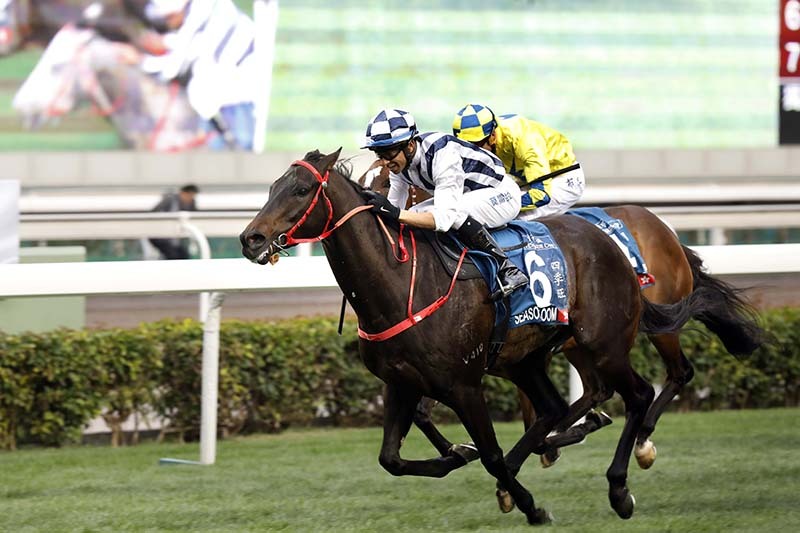 If prevailing, the former South African Group 2 winner would give a huge boost to Ping Hai Star in the Cup. Bringing together the best bunch of speedsters assembled in a Group 1 here for several years, the race promises to be a cracker and yield a genuine champion. The 2017 victor LUCKY BUBBLES has been freshened up and, if finding trouble in running, there’s no one better than Brett Prebble to get the gelding out of trouble ‘Houdini’ style. Prebble’s record in this race is second to none and his mount appeals as an each-way pick en route to Royal Ascot in June. Rarely has any important race in Hong Kong been dominated numerically in the way John Size pitches no fewer than five at the winners’ cheque. MR STUNNING is the likely market leader and, according to his handler, is an uncomplicated individual with the ability to show speed but also to settle, and with a hallmark will to win. But as Size also pointed out, this fellow will need everything to drop right on the day. The horse I think could ‘Super Size’ affairs is IVICTORY, whose time in winning a Class 2 on his latest start was jaw-dropping in the least. Hugely talented and on a fast-accelerating upward curve, the four-year-old made all for that track record but does not have to lead. He seems to have not only the necessary gears but the right demeanour, and it cannot be understated that the line between handicapper and Group 1 is never finer than in the sprint division. This horse has the wherewithal to deliver and make himself champion sprinter-elect a year earlier than anyone expected. BLUE POINT clocked 25.4s for the last 400 metres of his first gallop around a bend on Thursday and brings foreign formlines into the equation. A former Gimcrack Stakes winner in the UK, he represents a Godolphin unit that can do nothing wrong right now, and is a danger to all. 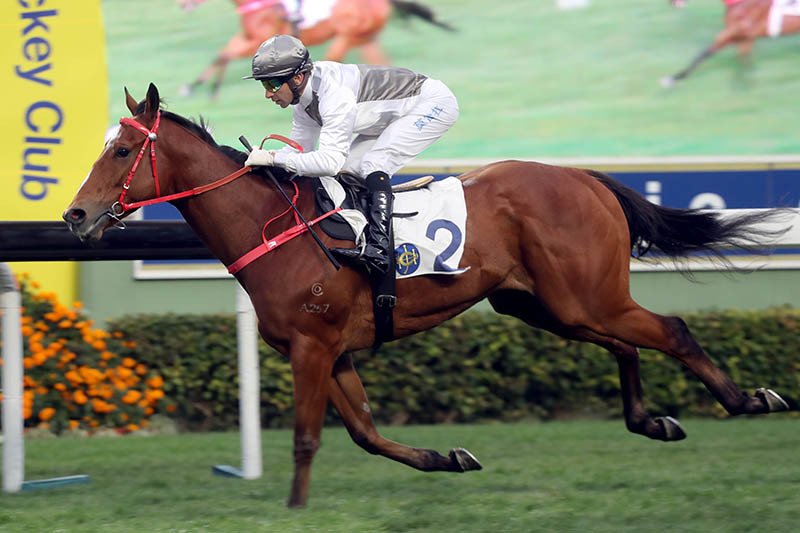 BMW Hong Kong Derby winners have a good recent record in this, a statistic that bodes well for PING HAI STAR, who was hugely impressive in landing that classic. That last to first swoop labelled the colt a potential superstar, but has a busy season combined with the effects of a hard race left its mark? Listening to John Size’s assessment of his runner this week my interpretation is that there are lingering doubts. The mercurial PAKISTAN STAR can make it a big exacta for Tony Cruz. He is unbeatable on his day, and I hope the ‘Dr Jekyll’ side of his persona shows up on Sunday (29 April). Japan’s twin spearhead of AL AIN and DANBURITE needs to be greatly respected, although the former spent most of 57 minutes refusing to complete his work schedule on Thursday (26 April), leaving the choice of supporting him on Sunday only to the true believers. The mulish display cannot have helped Al Ain mentally, although Danburite has in contrast been obediently impressive in his work. Al Ain boasts arguably the strongest form in the field, but his behaviour has opened things up for others, none less than powerful front runner TIME WARP who will relish the return to a mile and a quarter. 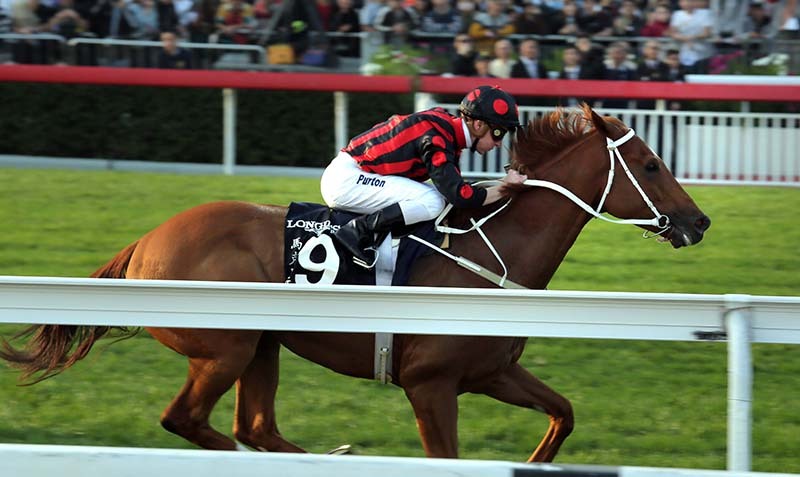 The Hong Kong Cup and Hong Kong Gold Cup winner is the only horse to break two minutes for 2000 metres at Sha Tin, has been brought to the boil by his Chairman’s Trophy run and has the irrepressible Zac Purton in the irons. 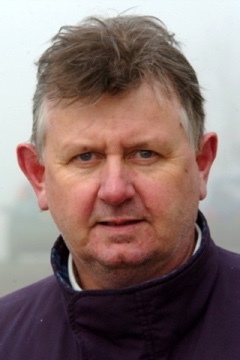 Yorkshireman who cut his teeth on Fleet Street in the early Eighties when part of the Press Association's racing team. Spent 12 years as Lambourn correspondent of the Racing Post from its inauguration in 1986 before going freelance. The ensuing period has seen him concentrate on the international racing spectrum, covering the HKIR of which he is a veteran. His other regular overseas projects include 28 Breeders' Cups, the Dubai Carnival and World Cup, the Prix De l'Arc De Triomphe and Deauville Festival. More recently turned his attention to South Africa where he is UK correspondent for Tellytrack and writes a daily column for The Citizen newspaper in Johannesburg. Attends its major racing events the Queen's Plate, Met, Durban July Handicap and Summer Cup, from which he has just returned.